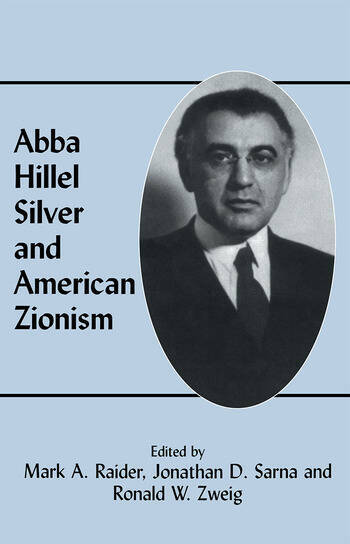 The essays collected here investigate Rabbi Silver's Zionist political leadership, his impact on American Judaism, ideological orientation and relations with the leaders of the Palestine Jewish community, World Zionist Organization and the Jewish State. CHOICE - "The volume sheds new light on Silver"s approach to Judaism and to the uniting of the reform and Zionist causes. Thsi is an important book for anyone interested in American Judaism and the emergence of a uniquely American Zionism." Shofar - "As a chronicle of the life, the work and the ideals which motivated Rabbi Abba Hillel Silver, [this] is a valuable resource. It is also a well written and carefully crafted treatment of one of the most profound, powerful and articulate Jewish leaders of the twentieth century.